Boko Haram’s Islamic law allows ‘infidels’ to be enslaved, group says. 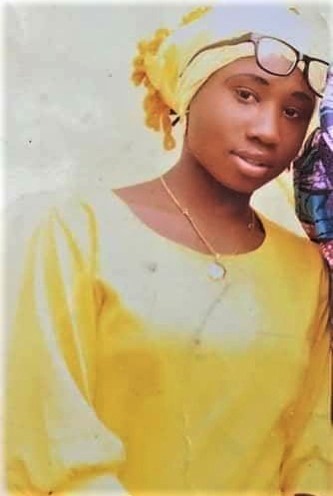 (Morning Star News) – Islamic extremist group Boko Haram has killed an aid worker as an “apostate” from Islam and vowed to keep kidnapped high school girl Leah Sharibu as a “slave for life,” Nigerian news outlet The Cable reported. Leah, kidnapped along with more than 100 schoolgirls from Dapchi, Yobe state in February but not released with the others because she refused to convert to Islam, will never be freed because Boko Haram’s Islamic law allows “infidels” to be kept as slaves, according to a statement by the Islamic State West Africa Province (ISWAP), commonly known as Boko Haram, released through The Cable. Alice Ngaddah, a Christian who works with UNICEF, will also be kept as a slave, according to the statement. Leah and Ngaddah, a mother of two, “are now our slaves,” the Boko Haram group said. The group has executed Hauwa Leman, an aid worker with the International Committee of the Red Cross (ICRC), according to the statement. “In a short clip seen by a special correspondent of TheCable, Leman was forced to kneel down, with her hands tied inside a white hijab which has a crest symbol, and then shot at close range,” The Cable reported. Boko Haram in September killed Saifura Ahmed, one of the three humanitarian workers abducted in Rann, Borno state, in March. Leman, a 24-year-old midwife and student of health education at the University of Maiduguri, was among those then kidnapped. Boko Haram has not made known its demands for the release of the hostages. It had set a deadline of Monday (Oct. 15) for its demands to be met or it would kill one of the hostages. Nigerian Minister of Information and Culture Alhaji Lai Mohammed said in a statement that government officials were shocked and saddened at the killing of Leman in light of efforts the government has taken to secure the release of the hostages. Mohammed said the killing was “dastardly, inhuman and ungodly” and said the government did all within its powers to save her life. Leah’s mother, Rebecca Sharibu, on Sept. 29 called on President Muhammadu Buhari to secure Leah’s release. Buhari later spoke with Leah’s mother, pledging to do everything possible to get her released.